I’d like to introduce you to Life in the Future, one of my all-time favourite books, which got a passing mention in my diary on 26th July 1986, 28 years ago today. It was published in 1976 and still graces my bookshelf. My favourite bit of the book has always been the double-page spread above, illustrating a Delphic Study from the mid-60s in which a host of experts were asked when they thought specific technologies might become available. 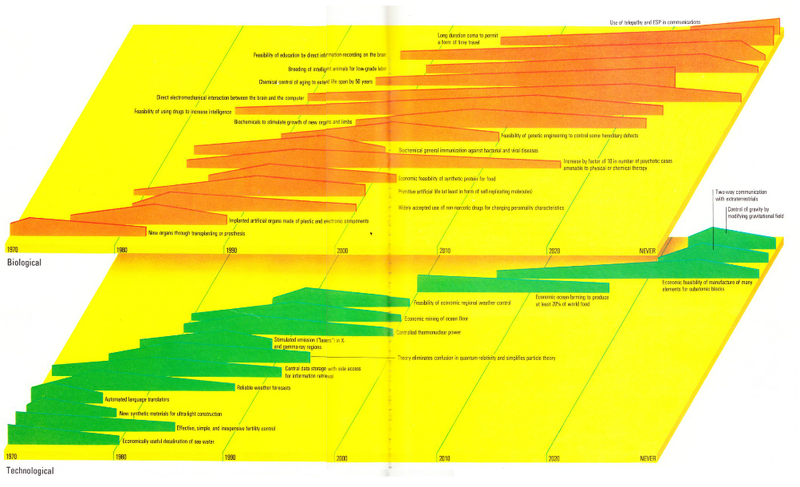 Their answers were collated and plotted on a timeline (starting in the 1970s and finishing with ‘Never’), with markers to show when 50% and 90% of them agreed a particular technology would be in use. Re-read rather ironically from my vantage point here in the far future – some way past the previously mythical 2000 AD – the book as a whole provides a fascinating insight into 70s thinking. The influence of the preceding few years is obvious: the new liberalism and free thinking of the 60s, the 70s energy crisis and the expansion of nuclear power (the accident at Three-Mile Island was just a few years away), the rise of the environmental movement, significant improvements in medical technology (the first heart transplant was already old news by this point), the development and early use of packet switching telecommunications networks, and so on. Longer-term hopes featured in the study included the feasibility of education by direct information-recording on the brain, the breeding of intelligent animals as a low-grade labour force, the control of gravity by modifying gravitational fields and economic ocean farming to produce at least 20% of the world’s food. Wonderful stuff. Despite the boundless technological optimism on show, the experts had to draw the line somewhere. They baulked both at the use of telepathy and ESP in communications, and at the idea of induced long-term comas used as a form of time travel. Before long, I’ll be reading Life in the Future on a date beyond the end point of the study, which was around 2020. Compiling a list of likely technological change over the next 60 years would be just as difficult today as it was back in the 60s – but it might be fun to try (suggestions below please!). If you were taking part in a similar study in 2014, I’d love to know what key technology breakthroughs you’d expect between now and 2080. Who knows, if we compile a big enough list, the Internet could help us run a Delphic study of our own! *Life in the Future was written by Michael Ross-Macdonald, Michael Hassell and Stuart McNeill. I can’t remember how I came by it (I wasn’t keeping a diary back then! ), but it’s essentially a broad and very readable look at predicting the future and how people affect it by the way they organise themselves and live their lives. I realised as I got older that it was written with a clear environmental slant which was very new at the time. I owe it a lot. This entry was posted in Books, Communication, History, Mobile, Popular culture, Power, Technology, Telephony and tagged 1960s, 1970s, Books, future, history, History of technology, Life in the Future, Popular culture, technology, Then and Now on July 26, 2014 by followthehumming. 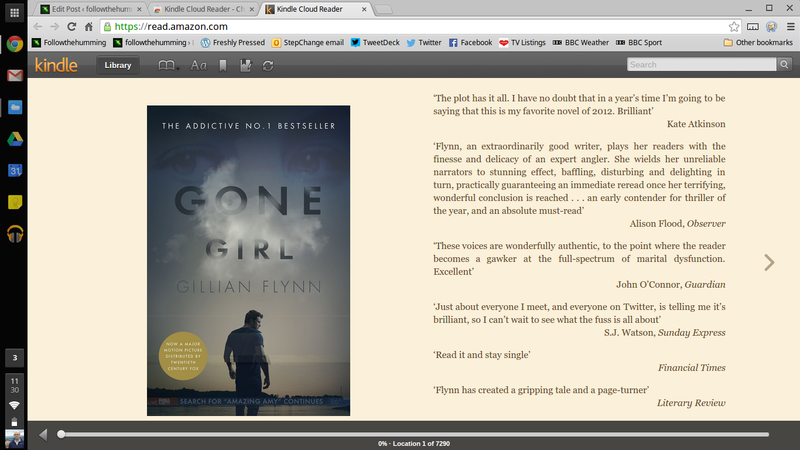 On the one hand, I’m feel like I’m the last person to give advice on how to write a good novel. On the basis of sales alone, this is certainly true. On the other hand, I have actually managed to produce one (Out, Brief Candle – currently free to download for Kindle to celebrate this post! ), so maybe it’s worth a word or two on the experience. My diary entry for 26th May, 1986 contains my first-ever throwaway mention of the idea of attempting a novel. Little did I realise then quite how long it would take me (almost 20 years) and how much I would change in the course of writing it (a lot). Here’s how it was for me. There can be little or no communication between man and man, for words are the names of memories, and no two men have the same memories. As a language student at the time, I was fascinated by Helsa’s idea of the difficulty involved in genuine communication and I wanted to explore it further. I decided there and then to make this the crux of my story. So far so good. I started to think this novel-writing stuff wasn’t such a big deal after all. Then came genre and setting. I thought a lot about this, but my late-teenage lack of life experience meant I only felt qualified to write about an imaginary world where I couldn’t be too wrong about things – so I chose to set the novel in the near-future and ended up with science fiction. Next, I started thinking about plot, characters and general planning. At this point, I reckon I lost about five to eight years during which I graduated, started work, moved house a few times, got married, ruminated about my imaginary world a lot, and wrote embarrassingly little. The breakthrough came in my late-twenties, when I got fed up with all the thinking, mulling and pondering, and realised I just needed to get the hell on and write something. This turned out to be a revelation. I wrote unhindered by preconceptions of where my story was going; instead, I did it just to find out what would happen next. It was like reading a story I’d never read before, watching it being told as it appeared on the screen in front of me line by line. I learned about characters as I created them. I explored settings as they came to me. It was both freeing and exciting. It was also productive. 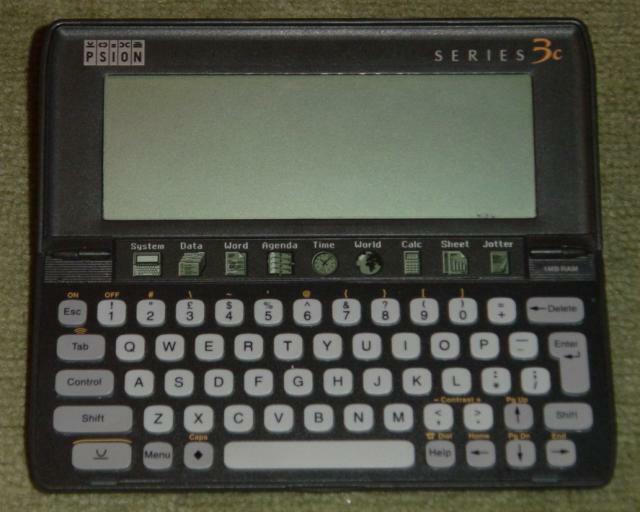 Despite the demands of family life and eventually three children, the bulk of Out, Brief Candle was written in the following few years on a series of small personal organisers, starting with a tiny Psion Series 3c (pictured) and ending with the big daddy of them all – the Psion Series 7. Then came the train crash. I wrote thousands of words and had a great time producing them, but I also had a mess on my hands: plot strands that didn’t link, inconsistencies everywhere, character flaws and unexplained events by the bucketload. If I ever wanted to reach the end, I knew I had to start taking things seriously. I started re-imagining and re-describing my characters, now I knew who they were. I created a long overdue timeline of the principal events. I drew out my settings and created backstories where I realised I didn’t know them. And finally, I decided how my story would end, and I worked out what I needed to do to get from here to there. 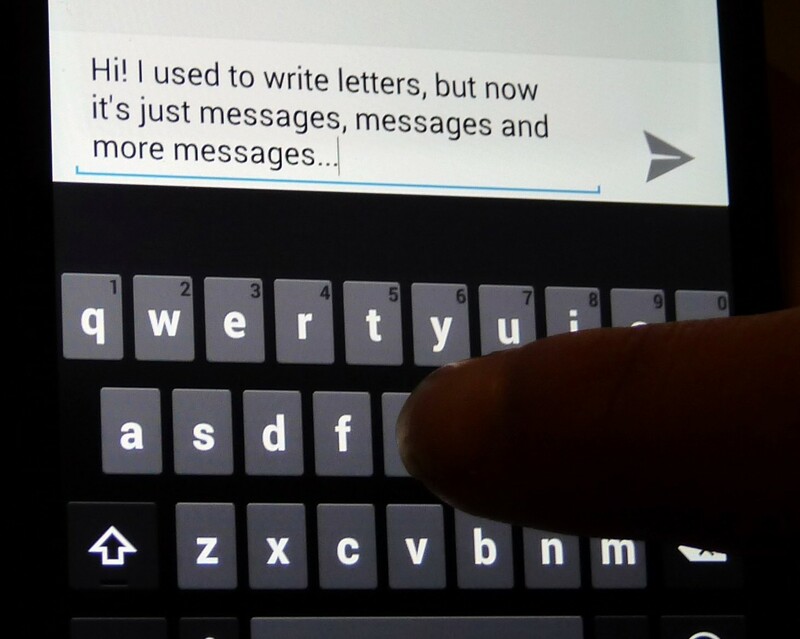 It was a different way of writing and it took a while, but it was worth it. This gear-change was the best decision I ever made. Without it, I would never have extracted myself from the dog’s dinner I’d created. I finally wrote my last few words in 2002. I made a pact with myself not to fiddle with the text any further – however strong the urge – printed out a clean copy, and optimistically sent it to myself via registered post as proof of copyright. When I read Out, Brief Candle now, I can hear myself change over the years it took to write. It’s a story in two parts, and Part Two could easily have been written by some new guy drafted in to replace the author of Part One, who was presumably too exhausted to continue. Despite its many flaws, I’m very proud of it. 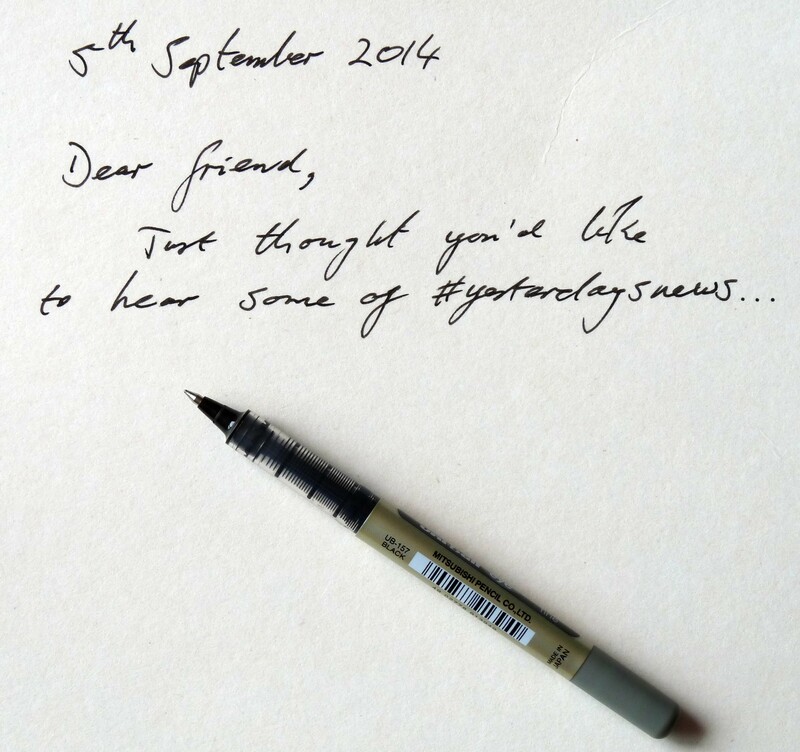 If you’re out there wondering whether to write something of your own, I’d definitely give it a go. But remember that – like me – you might end up being in it for the long haul. This entry was posted in Books, Communication, Language, Popular culture, Reading and writing and tagged Books, novels, plotting, reading, writing on May 26, 2014 by followthehumming. Back in the heady days of my diary, my friends and I have moved out of university accommodation and are living in a rented house a mile or two away from the campus. We chose it because it was cheap at £11 a month each and provided a roof and running water. The fact that at least some of this water ran steadily through the ceiling into my bedroom and that slugs crawled all over the living room furniture every night doesn’t seem to have entered our thinking. Wi-Fi has quickly become one of those attributes that somehow makes a place seem more desirable. Its rise has been so meteoric that it’s fast approaching the status of utility rather than luxury – an upstart must-have without the historic gravitas of water, heating and lighting, but part of a new breed of suddenly essential services, like its sibling mobile telephony. Wi-Fi lets you feel at home even when you’re on the move, to remain together even while you’re apart. 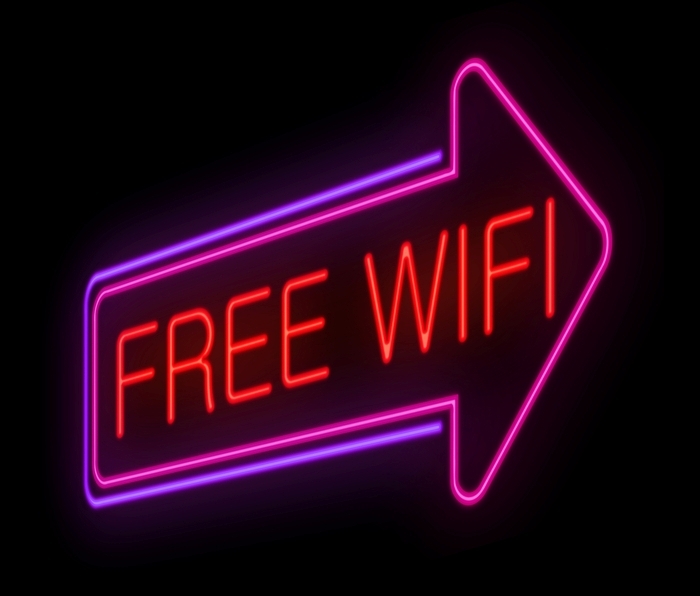 ‘Does it have Wi-Fi?’ is the connected generation’s ‘Are we nearly there yet?’ It’s a question asked of everything from shopping centres and trains to pubs and holiday destinations. High streets are awash with individual networks, with retailers banking on the fact that data-starved users on less reliable or more expensive mobile connections will crawl to the nearest hotspot like thirsty explorers to a desert oasis. The idea that Wi-Fi adds a certain something to a location isn’t new. As long ago as 2004, realistic plans were being drawn up for whole towns and cities to offer free, municipal networks. Despite the fact that many of these early projects failed (through a combination of cost, practicality, technical hitches and competition from the big mobile networks), optimism over city-wide Wi-Fi persists – embodied in big projects like the UK government’s super-connected cities initiative. Whichever university my daughter ends up in, I’m pretty sure that ‘how do you connect to the Wi-Fi’ will almost certainly be one of the first questions she puts her hand up to ask. This entry was posted in Communication, Demographics, Mobile, Popular culture, Technology and tagged Data Communications, EM Forster, Internet access, Networks, Students, University, Utilities, Wi-Fi, Wireless on November 17, 2013 by followthehumming.